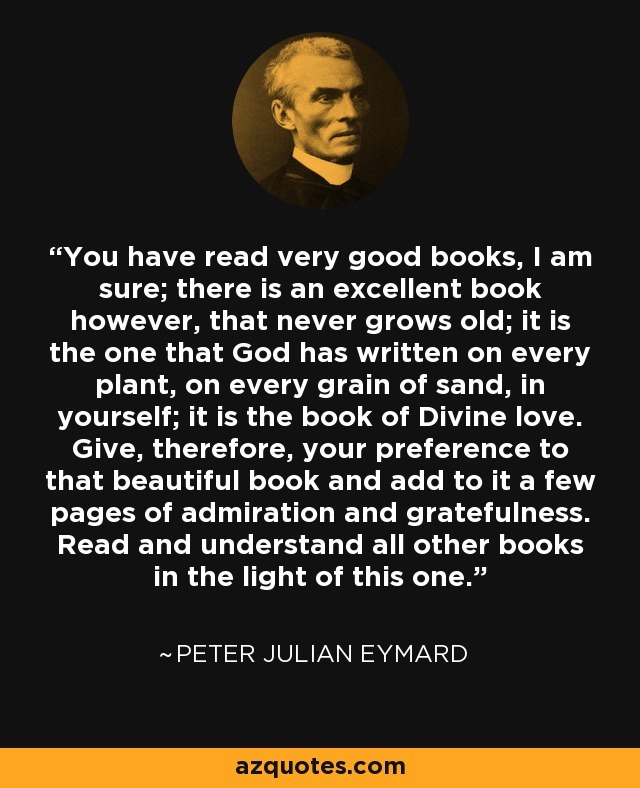 You have read very good books, I am sure; there is an excellent book however, that never grows old; it is the one that God has written on every plant, on every grain of sand, in yourself; it is the book of Divine love. Give, therefore, your preference to that beautiful book and add to it a few pages of admiration and gratefulness. Read and understand all other books in the light of this one.